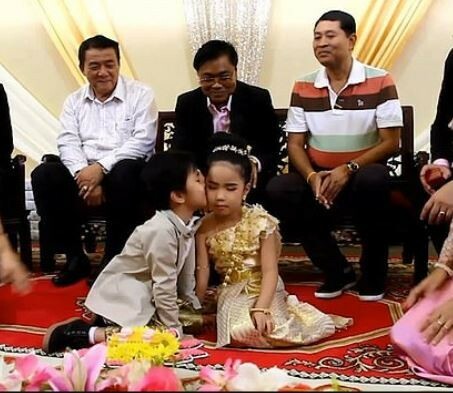 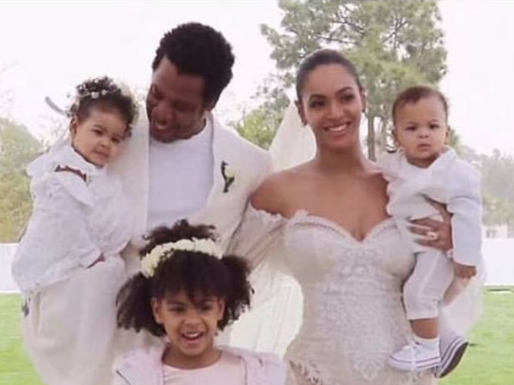 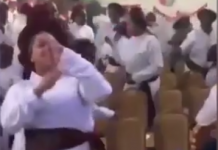 A pair of six-year-old twins have been married in a lavish ceremony because their parents believe they were lovers in a past life. 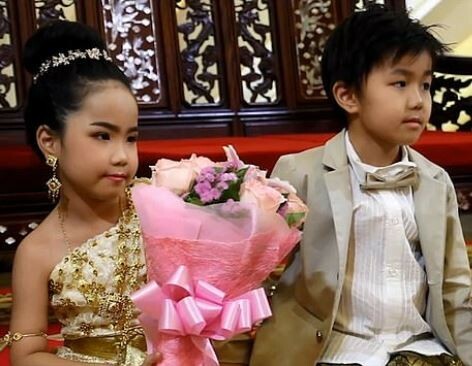 The young boy, nicknamed Guitar, and his sister, Kiwi, were born in September 2012 and their parents immediately knew they would have to get married. 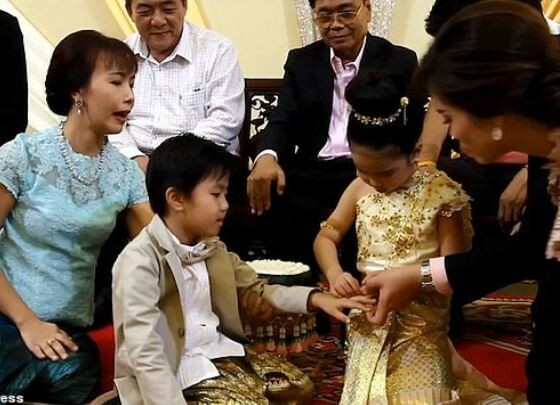 A traditional ceremony featured a street procession followed by a game where the groom had to pass through nine ‘gates’ before he could meet the bride. 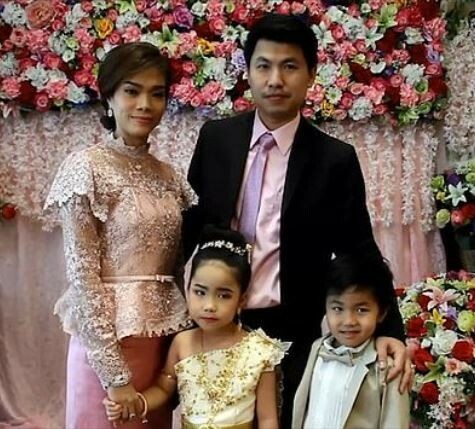 The young boy then had to pay a dowry of 200,000 baht in cash and gold worth the equivalent of £1,000 before marrying her.